Since your nose is such a dominant facial feature, even the smallest modifications can greatly improve your facial symmetry and profile. 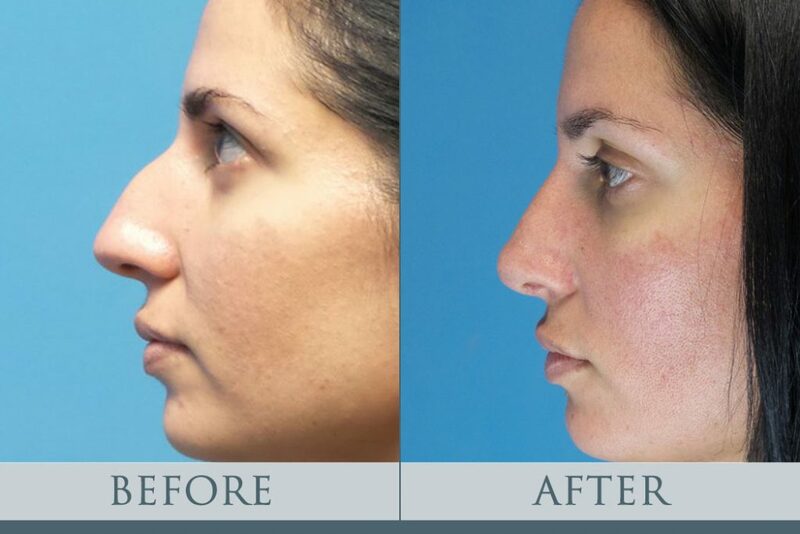 Rhinoplasty can address any dissatisfaction you may have with the shape, size, or other aspects of your nose. Many people come to us to address characteristics including abnormal nose size, bulbous-shaped nose tip, a downturned or upturned nose, the slope of the nose, asymmetrical or crooked nose shape. For example, this patient came to us hoping to address the hump shape in her nose and decrease the size slightly. 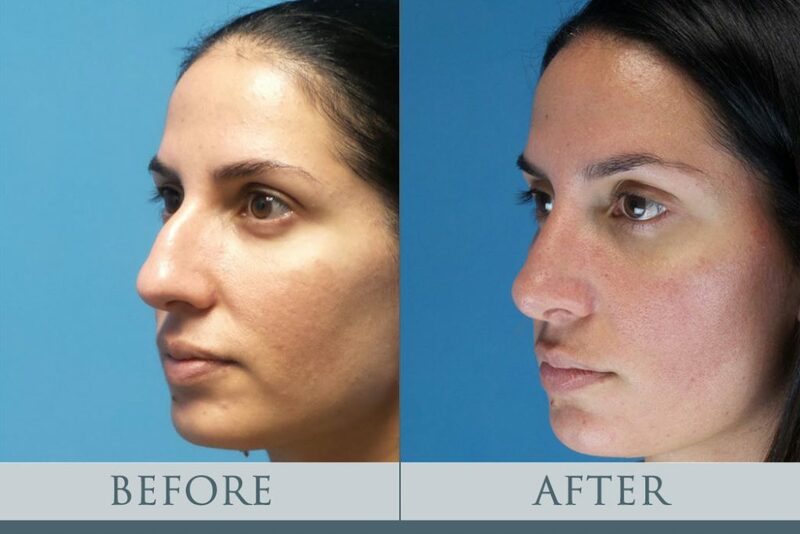 We worked together to decipher what type of rhinoplasty procedure she would need, open or closed, to address her initial concerns with the structure of her nose. Typically, in an open rhinoplasty, an incision is made across the strip of tissue separating your nostrils. An open rhinoplasty allows for the greatest visibility of the inner nasal structures. In a closed rhinoplasty, incisions are made within your nose, and scars are not apparent externally. There are advantages to both, and we work with each patient to choose the option best for them. Additionally, rhinoplasty can improve functional problems as well as cosmetic. Although the procedure cannot cure your sinus issues, it can help open airways and aid breathing problems caused by nose structure. For more information on our rhinoplasty procedure, check out this blog to learn more about the process and if you may be the perfect candidate. If you believe a rhinoplasty could be right for you and are ready to schedule a consultation, please give us a call at (404) 257-9888.